Local holiday craft fairs are popping up all around Southeastern Wisconsin. Here is a small round up of where to find these unique gifts. 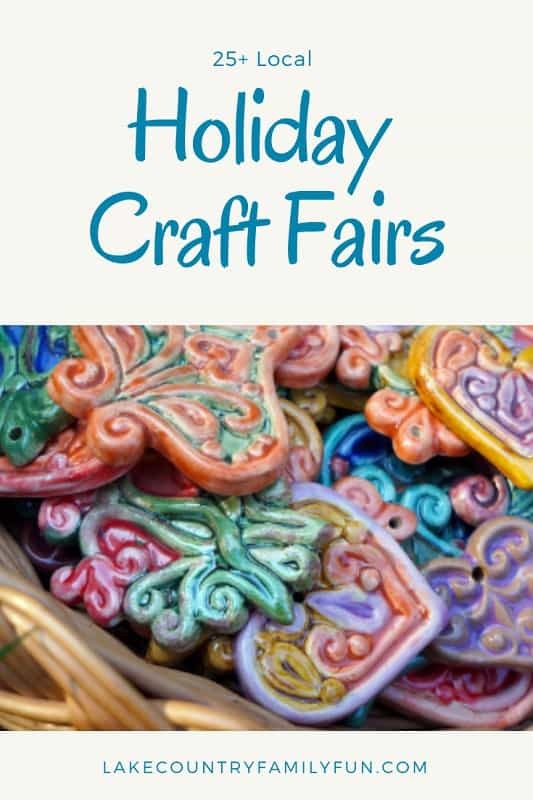 When you go to these fairs, if you are buying handmade items, you are helping supplement someone’s income, and allowing for their holiday to be a little bit better for their family or their cause. The same if you by from a direct sales representative. Do you have a favorite local holiday craft fair that you enjoy attending every year? Tell us in the comments! More will be added to the list as they are found! Please click the link for more details about each event for a full listing with locations and times! Brown Street Emporium Artisan Mall is a unique 7,000-square foot retail mall for entrepreneurs, crafters, artisans, etc., to display and sell their product to the public. They feature over 120 of Lake Country’s finest crafters, artists and pickers in one location, open 6 days per week! 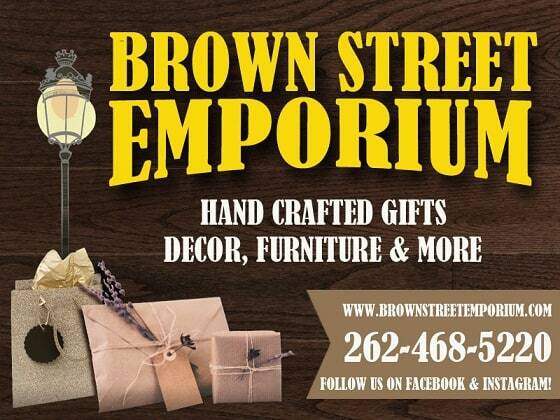 Brown Street Emporium is open Tuesday through Sunday. Click here for more details. Find them on Facebook. Plus, pop in on Saturday, December 15 from 10:00 am to 5:00 pm for their Jingle Fest! This event features over 110 regional artists and crafters along with exceptional home baked goods and chili, made by club members, for sale. 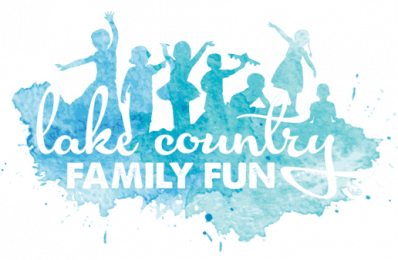 Not only is this local event a great opportunity to find some unique gifts for the upcoming holidays, but it also might just be a great way to “kick-off” the fall color season in Wisconsin! “A COMMUNITY AFFAIR” is presented by Community League of Menomonee Falls. This event is an arts, crafts, and antiques show that highlights the talents of fine artists. For over 30 years, the proceeds from this major fundraiser allowed Community League to donate over 1,000,000 dollars to scholarships, local charities and civic endeavors. The members of this volunteer organization take great pride in finding exhibitors who create the unique, handmade items featured at our show. Bring your mother, daughter, girlfriend or come alone for an evening of fun and education embracing all women. Enjoy music, refreshments, chair massages, and prizes. Informational tables and fun outside vendors for ladies will be available such as: Norwex, Pampered Chef, Scentsy, Thirty-One and more. Come early! The first 50 attendees will receive a gift bag. The bazaar will feature a wide array of handmade craft & gift items including wood, decorated barn boards, badger and packer metal items, birdhouses, ceramics, artwork, jewelry, hair clips, canvas tote bags, bulletin boards, knit and crocheted goods, ornaments, angels, snowmen, towels, dishcloths, scrubbies, aprons, kitchen gift baskets, homemade soaps & lotions, afghans, quilts, hats, mittens, scarves, baby items, seat belt pillows, table runners, baked goods, Avon, Pampered Chef, Blink Artisan Boutique, The Chic Boutique, Holiday Raffle and much more! Hundreds of vendors will be bringing the latest in apparel, decor, jewelry, and more. Tickets are on sale NOW! Buy online & SAVE $2! Craft and vendor fair for fall and holiday shopping! Raffle! Food! Local representatives who conduct home parties or catalog sales for products will offer items for on-site purchase or order. The Bazaar offers shoppers a chance to get a head start on their holiday shopping. Hosted by the Muskego Woman’s Club GFWC: 85 crafters and home goods, bakery, jewelry, raffles, holiday gift ideas, cheese and candies. Admission is $3 for those over the age of 12. All proceeds utilized by the Muskego Woman’s Club to better the community for those both young and old. FREE ADMISSSION, FREE RAFFLES, DOOR PRIZES, PRIZE WHEEL, EVERYONE WINS! HUGE Holiday shopping event at the Ingleside Hotel (formerly the Country Springs) in Pewaukee, with something for EVERYONE! With 60 vendors and crafters, including 11 LuLaRoe Retailers, you’re sure to find the perfect holiday gifts for everyone on your list! Local and Milwaukee based vendors will be featured selling handmade goods just in time for the holidays! Vendors interested in a booth, contact thebowerybarn@gmail.com! This annual tradition features talented artists who display and sell their handmade gifts, wearable art and collectibles. From jewelry to woodworking, from ornaments to one-of-a-kind clothing, you will find something for everyone on your Christmas list. Browse leisurely through the displays with a glass of wine, and enjoy lunch and a special holiday beverage in our NEW Gingerbread Cafe. Divine Redeemer will present their annual “Christmas Shoppe” Craft Fair on Saturday, November 10th from 9am-2pm in the school’s Gymnasium. Enjoy shopping for unique gifts from over 30 area crafters, artisans and vendors along with raffle items, a bake sale, coffee bar and concessions. Proceeds will benefit Divine Redeemer Lutheran Day School. For more information about the school, please visit http://www.drlc.org or contact the Admission Counselor, Tracey Markut at 262-367-3664. An amazing variety of artisans and crafters will have their handcrafted wares for purchase. Find one of a kind gifts, jewelry, artwork, hand-sewn and knit crafts, home décor, woodwork, stained glass, edible treats, photography, soaps, candles, and many more artisan items! Admission is only $3 at the door. This is one of Wisconsin’s largest juried arts & craft fairs with over 180 booths of Midwest artisans and crafters offering unique, hand crafted items. Admission is $4 per person, and they will have an “express line” for exact change. Free Parking is available at the school or at Elite Sports Club, just a block east on Burleigh Rd., with free shuttle bus. No strollers are allowed inside the building during the fair due to space restrictions, so please plan accordingly. They will be sharing some new books perfect for every type of reader on your list. Special guests include: Oconomowoc’s Sweet P’s Pantry, Sonoma Cellars, and Delafield’s Yellow Heart Sisters talking about their products and bringing samples to share, including a wine tasting! Grab your girl friends and join us for a fun evening of shopping local boutiques and businesses, all under one roof. Check off that holiday shopping list, or shop for yourself. You deserve it! Enjoy drinks, appetizers, and an outstanding raffle filled with generous, business donations. “Shopping for a Cause” supports Gals on the Go Project, a non for profit organization dedicated to bringing mental health crisis prevention and resiliency programs to our youth. Come shop the 1890’s log cabin for a beautiful selection of handcrafted primitive and farmhouse style holiday gifts and decor. Lake Country’s Premier Medieval Marketplace with Entertainment, Food and More! Get your holiday shopping done from local and statewide artisans, enjoy live entertainment, satisfy your sweet tooth in our renowned Sweet Shoppe, take your hand at candle dipping and fill your belly with a wholesome luncheon provided by Good Harvest Market! Keep Going On Annual Fundraiser and Artist Market! Raising funds to help ensure every suicide survivor gets the recovery time they need! Funds will be donated to Rogers Memorial Hospital in Oconomowoc. There will be various artist, crafters and educators there – all standing together to bring awareness and energy toward long lasting recovery. Admission is free, but donations are encouraged. There will be a 50/50 raffle, raffle of donated items from local shops and more surprises to come. Free admission in the historic Fish Hatchery building. The PTO will be sponsoring a bake sale and silent auction at the event and will be selling food and refreshments. Their 120+ vendors have been stocking their booths with unique winter and holiday items and will be offering discounts! Get here early and receive a special goodie bag filled with coupons, good through the end of the year, and unique items donated by our creative vendors! Enjoy a hot cup of cocoa while you shop and enter to win a raffle basket! The craft fair will be in the Party Room next to Riverview WaterTrap. Crafts as well as WINE Tasting on Saturday! ? and Sunday complimentary Mimosas! ? Two floors of amazing vendors that have something for everyone, even those hard to shop for on your lists!! Shop with a variety of vendors and crafters. Enjoy hot cocoa bar and Christmas cookies. Make and Take Signs for all ages! Ladies shopping day! There will be lots of different artisans for shopping plus a Bloody Mary bar with food and drink specials. Foolery’s will have a liquor basket prize to one lucky guest. Proceeds benefit True Life Church Children’s Ministry. The perfect combination of style and class, Beautycounter and The Barn Owl collide to bring you this private event! The Barn Owl features handpicked touches of whimsical and the unexpected for your home and wardrobe; including many locally sourced products and goods. Beautycounter’s mission is to get safe skincare and cosmetics in to the hands of everyone. Shop our beautiful holiday sets, skincare, cosmetics, kid’s line and more! Come and enjoy a mini facial and/or complementary color matching! Spend $50 with Beautycounter or The Barn Owl and receive a FREE lip gloss! Kick off your holiday celebrations with Breakfast with Santa and a Holiday Craft Fair! There is a fee for breakfast, but the craft fair has free admission. Everyone is welcome to come and decorate holiday cookies, enjoy refreshments, and browse the arts and crafts created by our caregivers and local talent. Come Say “Hi!” To Santa and His Elves. Cookie Decorating will be held on the first floor of the hospital and clinic at Aurora Summit. Enjoy shopping for unique gifts from many local area crafters, artisans and vendors along with a bake sale, coffee bar and concessions. Student musicians will perform through the day. Admission is free. Located in the Great Hall. There will be a bake sale, plus a sit-down area with other food (hot sandwiches & fixings) and refreshments for sale, including their famous Chili! If you are looking for a unique Christmas gift for that someone special, this is a good place to stop because we feature only hand-made crafts and local artists – no commercial businesses. There is also a raffle for various Christmas crafts, and a homemade quilt. And if you have time, they invite you to go upstairs and visit their sacred space and beautiful stained glass windows. Come join Berres Brothers for the FIRST-EVER Something Special from Wisconsin™ event. FREE ADMISSION and open to the public! Lots of sampling and fun raffles! • Holiday fun for the whole family! There will be complimentary cookies, cocoa, and crafts for the kids, lots of festive cheer as well as a special visit from Santa Claus himself. Lots of craft vendors for adults to finish Christmas shopping while the kids do crafts! 20% off all gift cards (perfect for stocking stuffers!) and all products, including Aveda! Come get pampered, while enjoying food, drinks, prizes, and other local vendors. Check out handcrafted items from local artisans and vendors. Bring your girlfriends & enjoy food, drinks, door prizes & of course the shopping! This is the place to find those “just right” gifts for your family, friends or even yourself. There will be a nice selection of arts and crafts as well as merchandise from vendors you know and love. Come complete your holiday shopping! Refreshments sold by Cross Lutheran Church Servant Journey. Proceeds from booth fees will fund OJWC’s charitable causes in our community. Come by and finish all your Christmas shopping at one of the LARGEST craft fairs! FREE PARKING, door prizes, concessions and more. Admission is only $3 per person! Get your holiday shopping done while supporting Magee Elementary and local businesses at the Magee Elementary Holiday Fair! Join for a pancake breakfast from 8:30 to 10:30. After shopping make sure you check out Christmas in the Depot for pictures with Santa and a horse and buggy ride! Bring the kids! There will be a craft table set up to keep them occupied while you shop. FREE admission and FREE parking. I love attending to events like this. Any arts and crafts event really interests me.